Hello everyone! Fernehalwes back again. I mean, seriously. I leave Pinurabi alone for one minute, and he’s off gallivanting about, pretending to be King of the Blog. This is simply unacceptable, so to teach the bad boy a lesson, I’ve locked him up in the utility closet where we store all our overstock tonberry plushies. That should give him something to think about. 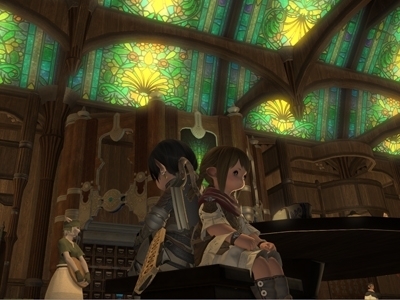 Back on Tuesday, Yoshi-P had everyone on the FINAL FANTASY XIV development team participate in a half-day play test of the soon-to-be-released Beta Version. Sure, it was the perfect chance to sift through the content and find bugs or whatnot, but it was also an opportunity to take a step back and experience the game as players, and that in itself was just plain fun. ...and then there were those of us who just spent four hours in the Adventurers’ Guild harassing that cute Lalafell in the short skirt and high boots. FATE's look like they are going to be awesome! Looks like thats some form of an adamantoise possibly. edit: or maybe not.. didn't notice it was floating till staring at it longer. I was thinking giant Ahriman, that long thing looks like a spiky tail. We saw adamantoise in one of the alpha vids, I'll see if I can find a screenshot. I had never heard of the FATE system until a few weeks ago when it was mentioned along with random treasure chests being found while exploring. Is anyone able to shed some light on this for me or able to link me some details about it? Is it supposed to be similar to GW2 open world events that everyone can team up for? WOW!!!!!!!!!!!!! Those are amazing screenshots. If those aren't touched up and the game actually looks that pretty cranked, incoming $1000 of upgrades lol. While the game does look nice, you shouldn't judge graphical quality on a handful of thumbnails, haha. I wish they'd stop torturing us with all this beta information. The more I see, the more I want to play! I'm extremely dubious that the FATEs are going to be fun for lack of balance :/ Of course, that's presuming in the first place that they even manage to make combat skillful and engaging, but if they do, I'd rather they err on the side of difficulty than make them too easy. I dunno, as much as I want the game to succeed, I honestly will be amazed if it doesn't fizzle out within 6 months because there's either nothing to do (because everyone has already done it), or there's too much of a grind. Skill, balance, pacing control... I just don't see this picture coming together yet. Hopefully we'll see the "real" gameplay footage soon and fears will be allayed. So you mean you'll be unhappy whether there is stuff to do or not? There is no pleasing you, sir. Au contraire, there is a critical middle ground that all content and gameplay in a "good game" must aspire to. Content that is too easy or difficult is not good. Content that takes too little time or too much time to complete is not good. It's not something that you can bifurcate into a dichotomy. Well, you'd be wrong. I've played a number of games that I thought were wonderful. Like anyone, I usually have some small criticisms. Now if you're talking about MMO's specifically, then it's not just me. 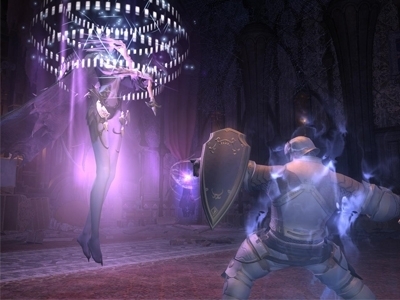 Most game critics tend to agree that MMO's do not generally embrace good design practices and tend to pale in comparison to single-player/standard multiplayer games. Also, I am perfectly capable of recognizing when a game was designed well even if I don't personally enjoy it. For example, GW2 was formulaic and poorly paced, but it was a good game. It's just that it was only good for about 2-4 months, which is not a good quality for MMOs. Meanwhile, there are plenty of non-MMO examples that are successful for years and retain an active playerbase. You'll have to forgive me for being a bit terse lately. I'm not quite sure what's gotten into me. Perhaps it's the lack of substantive discussion (due to lack of information to chew on). Yeah aside from the dev blog it's been a bit light. I attribute that to the ramping up of beta. I don't know if I'd want FATEs to be difficult, but there's something to be said about the entire game being a bit on the difficult side. I never got to endgame in FFXI, in part to the obvious trials for a "casual" player (with a case of MMO ADD). That difficulty hid parts of the game, and in turn made the world seem a bit bigger than it was, but also a bit more mysterious. I played GW2 for about 2 months. It was pretty fun while it lasted, but once I got to the end, (and after exploring everywhere) I was like, "OK, what's next?" And there really wasn't much left. So either you make the world HUGE and keep the pacing at a fast clip, OR you have a smaller world and fill it with tons of sidequests, OR you make the world even smaller and put blocks to progression. 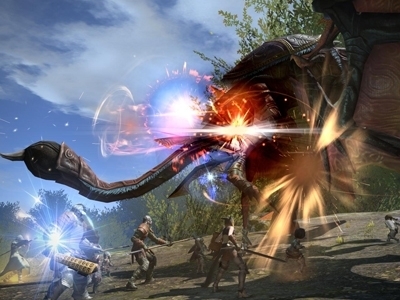 In the end I'd rather the game lean over to the FFXI side of pacing and difficulty than the RIFT/GW2, if only to keep interest in the game/longevity. As far as the combat is concerned and the actual mechanics, I guess it's just a waiting game, like you say. GW2 pacing was definitely too fast, and there were no specific incentives to do most of the content. e.g., any given dynamic event, no matter how cool, only offered generic rewards. And those events, as I suspect will be the same with FATEs, were horribly balanced because the number of players was really the only thing that determined your success. And that's my concern. If they follow the GW2 model, it will be boring within a few months. That works fine for GW2 because GW2 is not a subscription game. Copying that to FFXIV is a recipe for disaster. Likewise, if they take this page from FFXI and rely on heavy timesinks and bottlenecks to pace the content, they're going to run into abysmal subscription numbers as players get bored/frustrated and leave. So that's where I'm skeptical that this is going to work out, because they actually need to do something completely different that to my knowledge, has not been done in any other game. And I don't get a strong sense that they understand game design so much as they're trying their damnedest. At the very least, most MMOs fail, so getting one's hopes up about a game that already failed once (didn't even come close to succeeding) is a bit ill-advised. Or, rather than a disaster... FATE could be the perfect thing for FFXIV because it's a subscription based game. You can't easily dismiss the fact there's a development team who has a financial incentive to keep the game's content vibrant. If FATE burns out too quick, they can add new things to it to keep it interesting. Or if it proves to be completely unpopular, they can go in a different direction. That's the wonderful thing about subscription-based MMOs. They evolve. Could be, but the thing about evolution, is that it requires survival... of the fittest. SE has a horrible track record of implementing content. They're slow as an adamantoise with updates. After launch, they'll have their hands full with other critical tasks. And if they don't strike a great impression within the first few months, they might not have a chance to see through with any content updates at all. I wonder will FATE be something you sign up before it spawns to fight it or will it be a like FF14 NM before they marked them on the map.You're in Coerthas riding your Chocobo on a well traveled road then THWACK a huge serpent tail smack one shot you and kills several other passersby while you ponder about what killed you....good times,good times. I thought they had a pretty good pace with updates in FFXI. They usually had 5 or 6 major in ones a year when it first started, plus the expansions. I suppose WoW might have been better, but they had 24 times the revenue stream. So that hardly indicates SE has a horrible track record, at least on this subject. FATE definitely needs a good balance when it comes to difficulty, mechanics and frequency to be a good addition that actually excites players for more than one or two events. When it comes to difficulty I believe it should be something that players win more often than not (especially so at earlier levels), but it should be based on how well the group that is present can manage to work together and their skill rather than how many players that are participating. The challenge of these events should also scale with levels. Mechanics is very important imo and this is something that I think should scale with levels to increase the difficulty, but also the staying power of events like these. So say we are talking about NM FATEs at level 10, a regular zerg fest might be enough simply because people don't have a lot of abilities and are still learning the basics of the game. A level 20 NM FATE however might add a mechanic where everyone needs to dodge a certain big move. A level 30 NM FATE then might have two different mechanics where people need to start working together to actually succeed in the fight; maybe first you need to weaken the mob, when it is weak enough the tank tries to draw the mob into a cage that two different groups need to open using some type of device where timing is needed at the same time as you need to defent the "cage opener group" from smaller mobs trying to intervene. So that with levels the complexity of the FATEs increase (My example might have been a bad one, but I think you get the picture) which at least in my opinion helps events from getting boring. I think it was Kachi who mentioned this in some other thread and I think it is an important point. FATEs should not happen all the time, especially not "cooler" ones like Behemoth. The reason being that something that happens frequently doesn't feel as special and exciting anymore, there should not always be a FATE going on in every zone. The FATE system should work as a compliment and a random break from the usual "lull" so to speak (imo of course), it should not become a part of the "lull", if that makes any sense. Also, personally I would not be against these types of events giving rather decent rewards and although I agree the main obstacle for getting rewards should be skill not time, I do think there needs to be some restraints to how often you can get a chance to get these rewards. Personally I would also like some type of randomness in the FATEs themselves, something that will always keep you on your toes even if it isn't the first time you fight this particular FATE. Not exaclty sure what this could be but possibly different behaviours of the same FATE, depending on how many are present, night/day, how you try to tacle the problem. It doesn't have to be different in terms of difficulty, just in what you need to do to win so that there are fewer fights that are exact copies of the previous one. Maybe this is something that fits better into fights that are more meant for a cohesive group of players like an LS etc however I still think it could fit well into a scenario like this. My memory might be failing me, but content updates were okay only if you disregarded the artificially long progression pacing in general. Had leveling been sped up to a reasonable pace (which it will have to be in FFXIV if it is to survive), then the content would have been insufficient. However, regarding things like balance issues, they were atrociously slow to respond (consider gems like Pandemonium Warden, Absolute Virtue). Class balance is one thing, but encounter balancing is just so critical to the life of a game in this day that they really will not have a couple of months to drag their feet. It's fix it or nix it for players these days.